VCX-7000 Series 2-point Detection Explosion Proof Switches Compliant with IEC Standards. The VCX-7000 series are gas/steam explosion proof vertical limit switches for outdoor use with 2-point detection and a pressure resistant and increased safety explosion proof structure, conforming to IEC standards, and usable in hydrogen gas atmospheres. The die cast surface with rust prevention treatment and baked finish offers excellent corrosion and weather resistance. 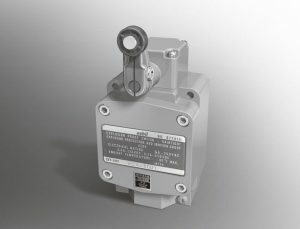 Various actuators are available with either center neutral or simultaneous operation configurations. External standards include TIIS, NEPSI, KOSHA, CNS, ATEX, IECEx, and NK chosen by model number.